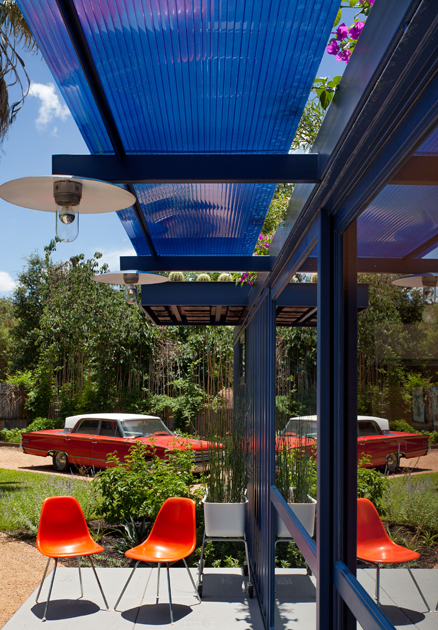 Texas architect Jim Poteet has designed this garden guest house in San Antonio. 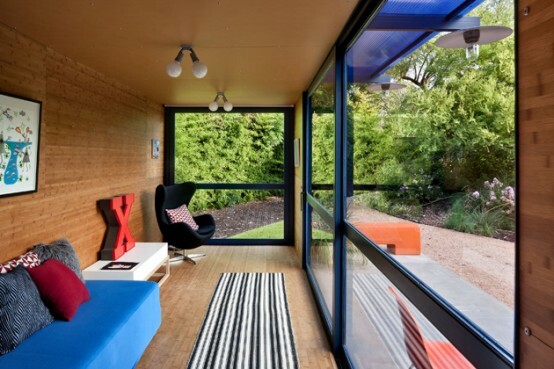 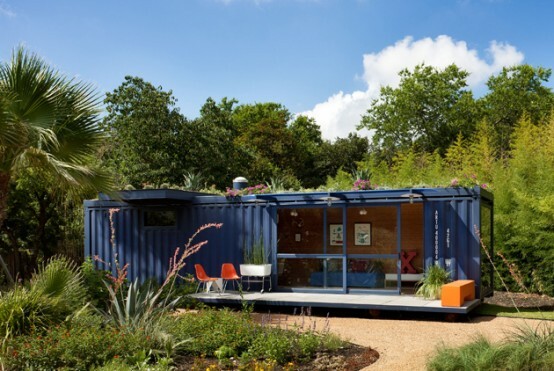 The small house is made of an empty steel shipping container and also serves as a playhouse, a garden retreat and a working studio. 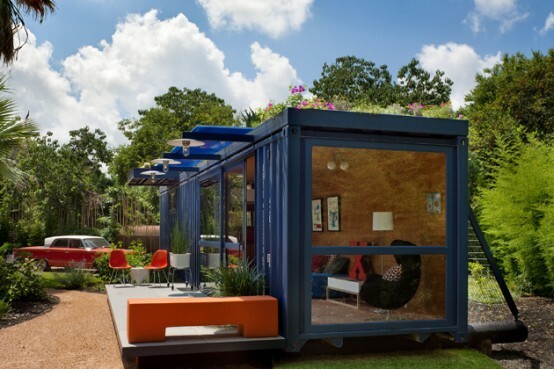 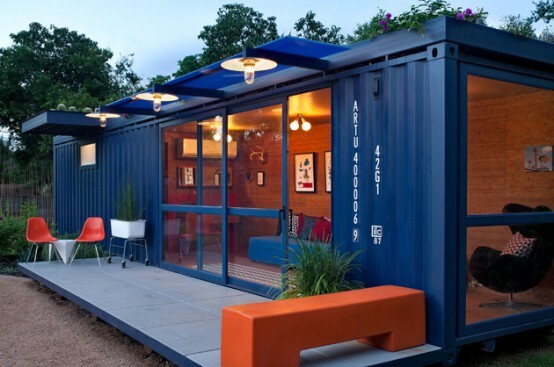 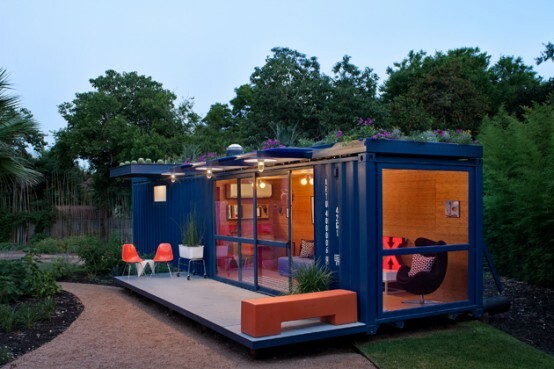 The container is 8 by 40 feet and features floor-to-ceiling glass doors and windows. 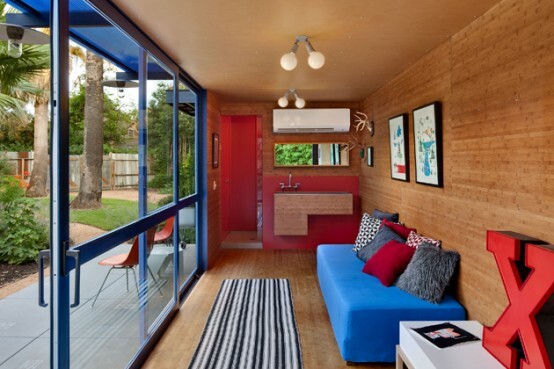 Besides, there are heating and air-conditioning systems installed. 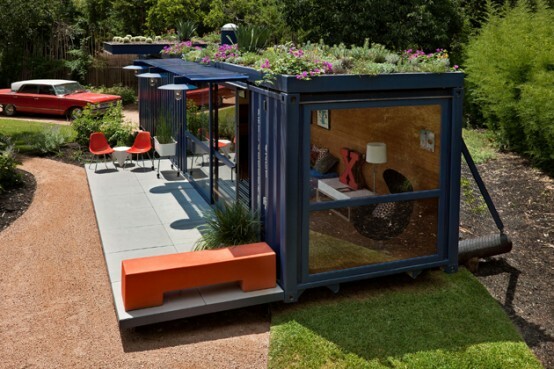 The roof is filled with different plants. 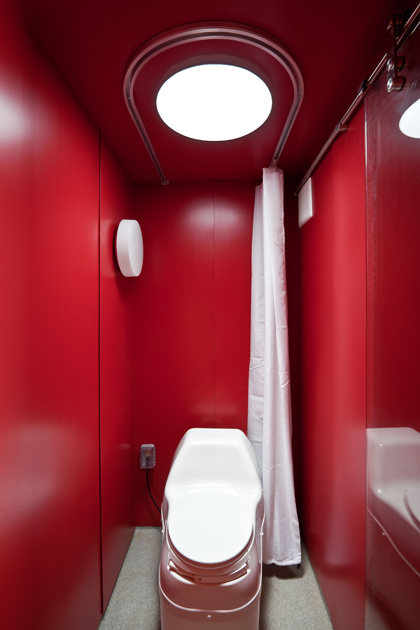 There are a small sink, a shower, and a toilet inside of the house.